May | 2012 | Sonic Smash-Music! The groundbreaking musical collaboration, Grooveatech Orchestra, has released its new full-length album “One More Time” on Grooveatech Records. 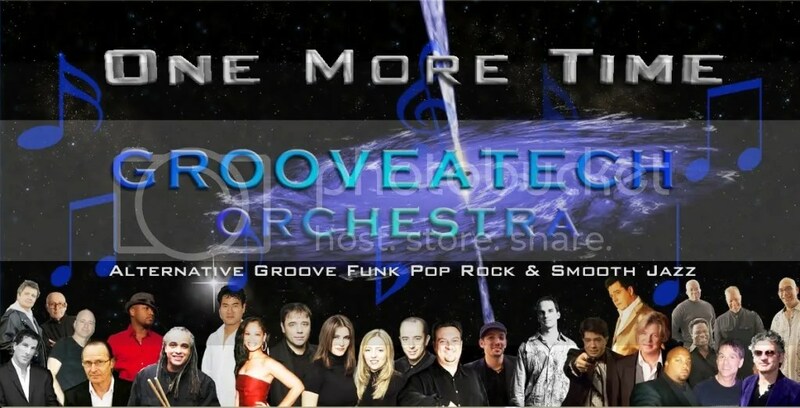 After more than ten years in development, Grooveatech Orchestra’s flagship full-length album, “One More Time,” has been released on Grooveatech Records to great critical acclaim. The album utilizes elements of jazz, funk, and electronica, flawlessly showcasing the expertise of Grooveatech’s many musicians. Composed of a staggering twenty-seven musical artists from various time-zones around the globe, Groovetech Orchestra is the brain child of Aaron Wider, who also produces, composes, arranges and performs as vocalist on the record. Grooveatech’s artists come not only from a dizzying myriad of different locales around the world, but also from a surprisingly diverse array of musical backgrounds, including (but by no means limited to) groove, funk, pop, rock, and smooth jazz. The result is both a classic, warm tone familiar to music aficionadoes while maintaining a radically unique signature sound. The release of “One More Time” was a complicated and daunting endeavor. Many of Grooveatech’s musicians perform in their own bands or even multiple projects, the artists’ individual releases exceeding a monstrous two-hundred and seventy albums. Many go on tour throughout the year. Most have families and professional jobs on the side. Still, the end products of this gigantic and remarkable collaboration never sound rushed, slipshod, or amateur, and the tasteful engineering manages crisp, clean tracks that never seem over-produced. Even with the little time afforded its members, Grooveatech has managed to record audio and video in multiple locations. The video for the single “One More Time” required sixteen video shoots worldwide with fourteen participating musicians. Though the monumental undertaking took eight months to complete, the video for “One More Time” has gone viral, and is now being played during coming attractions clips at New York, New Jersey and Connecticut movie theatres. California Bay area hip-hop artist Bob J.r. has released an EP titled “Real Hip-Hop,” his first officially published album. The EP primarily features Bob J.r.'s vocals, lyrics, and orchestration as a contemporary example of the Berkeley hip-hop sound, and solidifies his claim to the local mainstream. Far from the typical beats and cliched chord progressions of contemporary top-40 hip-hop, Bob J.r.'s “Real Hip-Hop” is a fresh, honest treatment of the genre's roots, utilizing classic rhythm patterns and minimal background fill, a style with the space and deep groove of nineties hip-hop that also manages to sound raw, edgy, and modern. A musical autodidact, Bob J.r. taught himself to play the drums while growing up in Oakland, California, as Bobby Nathaniel Hamilton Jr. His first live performances were for the congregation at his family church, which he played at the age of ten to much acclaim and encouragement, but it was in secular hip-hop that Bob found his musical inspiration. High school found him collaborating with friends on live instruments such as a snare drum, saxophone, trombone, and bass guitar (occasionally onstage) and rather than attending classes, he soon found a home on the UC Berkeley campus where he could experiment with lyrics and refine his freestyle-rap technique. He began to produce, engineer, and record his own tracks on an old Casio keyboard with an audio cassette input. 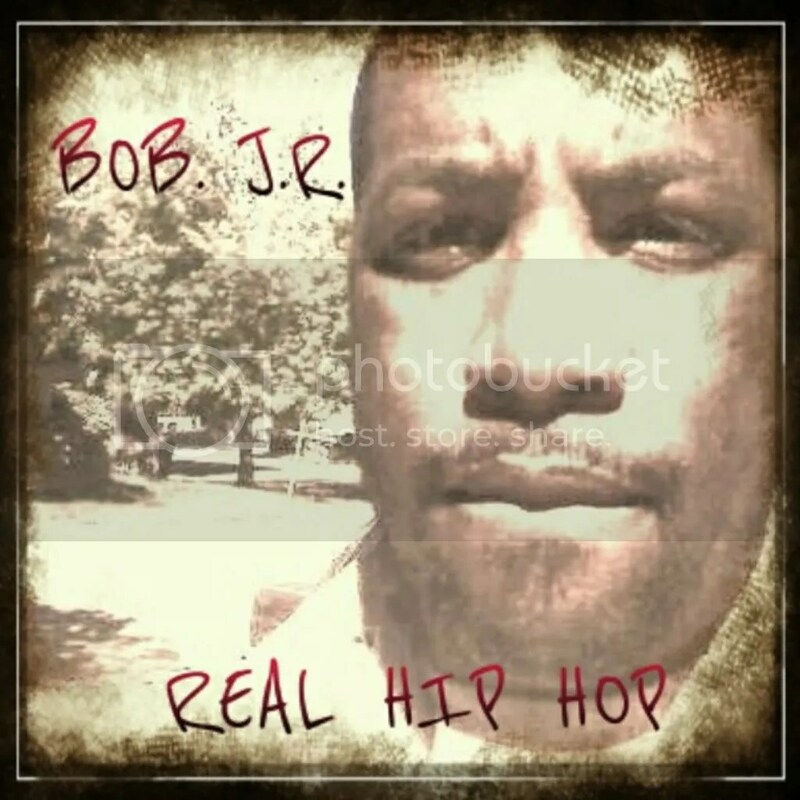 Bob J.r.'s EP, “Real Hip-Hop,” is available online now. 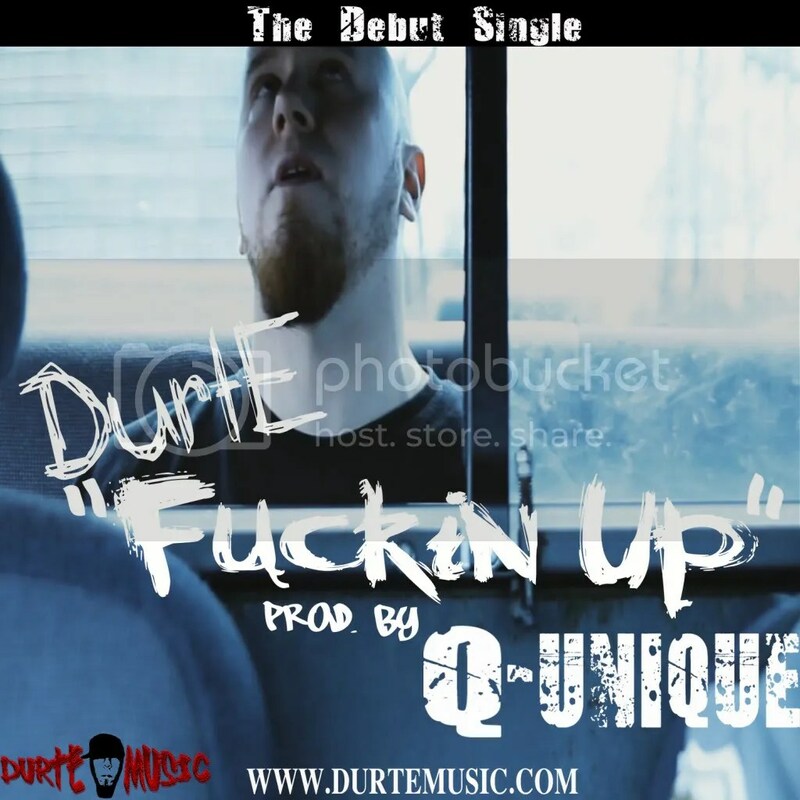 Littlestown, PA, Artist DurtE has recently released his new single “F***’n Up” to critical and fan acclaim. DurtE, who has recently released his new single, “F***’n Up,” to critical and fan acclaim, is a solo rap/rock artist from Littlestown, PA. His most recent release ups the ante from his previous work and is a departure from the usual material his fans are used to hearing, heavier-hitting, more-powerful, and with the inertia to prove that he is in the music industry for the long haul. 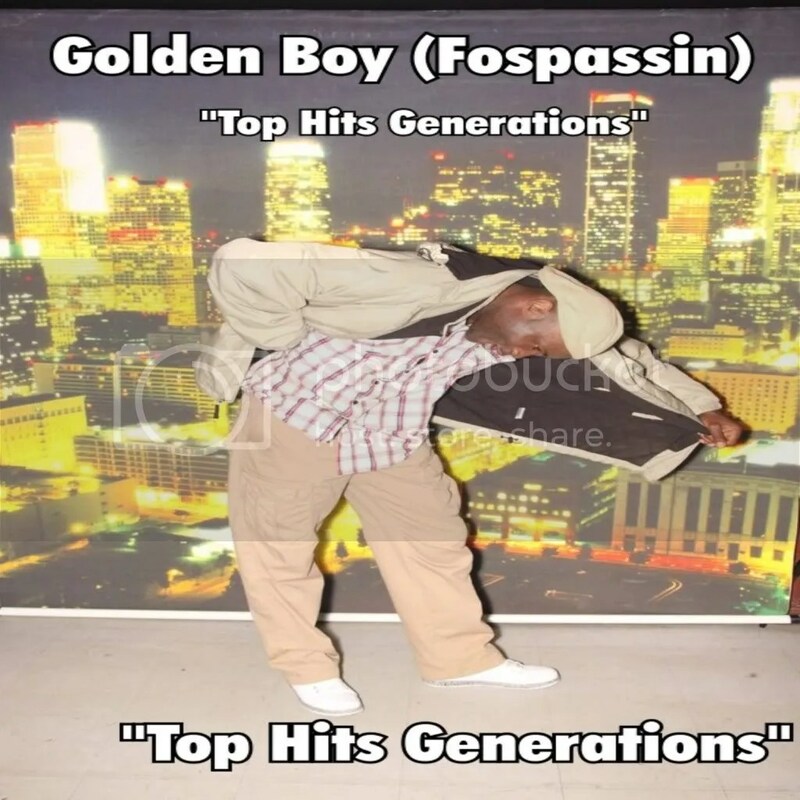 Golden Boy (also known as Fospassin) has recently released a new EP, “Top Hits Generations,” to broad fan and critical acclaim worldwide. Having pressed material in 2005, 2006, and 2007, Cameroon-born Golden Boy has spent the last three years honing his stage performance all over the world, but with six full-length dance tracks under his belt, he has decided to publish a new EP rather than make fans of Fospassin wait any longer. Living now in Marietta, GA, Golden Boy’s music has been awarded more than 15 times in 2 years. Some of his accolades are: Special Mention, Music Aid Awards 2006 (United Nations); Best Video of the Year Nominee, LA Music Awards 2006; and Honorable Mention, Indie Music Awards 2006. He receives more than 15000 weekly radio airplay reports worldwide. Golden Boy is at once the composer, producer, engineer, lyricist and performer of his tracks, which find acceptance in locales as disparate as Moscow and Tokyo. He has been called “The King of Monkey Dance,” a “Bob Marley and Tupac revolution,” and the “ultimate singer/songwriter for the 21st-century music lover.” His 2007 single, “Hot Crunk,” continues to garner attention on Internet radio stations, iTunes, and YouTube a full 5 years later. Karen Clancy, a blues singer/songwriter from Florida, has released her first LP, self-titled. “The album, Karen Clancy, is a culmination of a life that has always had a soundtrack,” says Clancy. The record showcases her adroit, tender handling of traditional blues tenets while remaining a modern interpretation of classic, deep-south undertones. 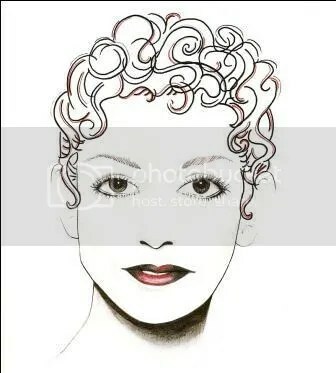 The album is markedly comprehensive, boasting rich components of jazz, classical, and Irish folk music, and marks the beginning of her available catalog. Clancy’s influences include Bessie Smith, Muddy Waters, Junior Wells, Ethel Waters, Stephane Grapelli, and Big Mama Thornton. She has performed at myriad locales, including New Smyrna Beach, Miami, Key West, Tampa, New Orleans, Houston, Colorado, Chicago, D.C., Vermont, Hana, Madrid, Bruges, Paris, and Venice. The LP “Karen Clancy” is available for purchase and download from iTunes, or at her website, http://www.karenclancy.net. Kareem is releasing his most explosive, most recent contribution to French electronic hip-hop with his new single “Bionic,” stamping his name in the rich history of Quebec’s musical underground. Canadian underground Hip-Hop artist Kareem Live is releasing his most powerful single yet: Bionic. Kareem moved to the Outaouais region of Quebec from Morocco at the age of 2. Inspired by alternative music such as Nirvana and Metallica, he learned to play guitar, and formed the band No Self Control when he was 15 years old. By the time he reached adulthood, however, his tastes changed. French hip-hop, fueled by popular artists such as MC Solaar and Iam, were blowing minds all over Europe and Canada. Kareem was no exception. He listened, he learned, and found his passion for lyrical poetry in underground hip-hop. Kareem met his friend and producer, Da Heala, in 1999, and right away they collaborated to create hip-hop music as The Symphony, Kareem’s first regularly performing group. During this period Kareem earned the respect of Francois Carrier, president of the Association of Professionals of Song and Music (APCM, Canada). The president’s respect proved well-placed: Kareem succeeded to the annual Hip Hop 4-Ever semi-finals twice consecutively. This led to a pair of publicly broadcasted appearances on Le Garage, hosted by Veronic DiCaire on Radio-Canada and ARTV. A wave of encouragement and popular demand ensued, prompting Kareem to record his first professional track at Raven Studios, where he was introduced to a Quest sound technician who would become his right-hand man. They opened a sound studio together. Soon afterward in 2002, Kareem was awarded the Embassy of France’s grand prize in a music competition and was sent to Paris to learn and collaborate with French artists. He appeared onstage more and more frequently, and his writing became prolific. He performed a duet, “Persuing My Dreams,” with Canadian Idol Eva Avila. Kimberly Graveline of Tag Radio, the voice of the Outaouais, invited Kareem for a series of interviews on the air, and having decided him the obvious candidate, took him to a press conference organized by the Regional Office of AIDS Services (ARMS). It was here that the media became infatuated with Kareem, thinking him a symbol and example of the best art in the region, and a slough of interviews in print as well as on the airwaves continue to keep him busy. Now Kareem is live and ready to release his most explosive, most recent contribution to French electronic hip-hop, stamp his name in the history of Quebec’s musical underground and help it attain the global attention it clearly deserves. 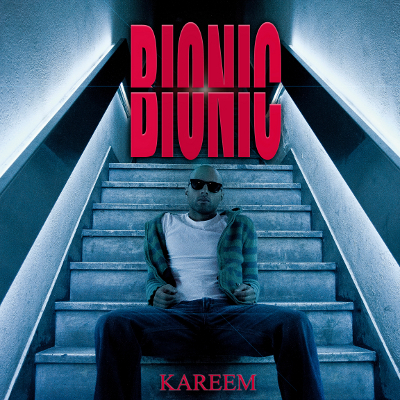 Kareem’s video “Bionic” is available for viewing at http://www.youtube.com/watch?v=Mc1y4iTC02Q.